Vernon McIntyre’s Appalachian Grass is a driving, five piece bluegrass band with an entertaining, energetic stage show that includes lighting fast instrumentals, tight harmony singing, amusing novelty songs, and a show stopping trick fiddle act. Vernon McIntyre’s Appalachian Grass is a driving, five piece bluegrass band established in Cincinnati, OH during the 1960’s. 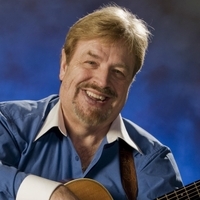 Vernon’s years of playing both banjo and guitar with the greats of bluegrass have honed his skills as an entertainer and make him uniquely qualified to define the traditional bluegrass sound of the Appalachian Grass. He began his professional career at the age of 15 playing banjo with Earl Taylor and the Stoney Mountain Boys. He has since played with Walt Hensley, Jimmy Martin, Jim McCall, James Monroe, Mac Wiseman, and Scott Stoneman. Vernon was also a founding member of the Bluegrass Pardners of Wheeling Jamboree fame and his banjo work with the Easterners is well remembered. Through the years, Vernon has made several appearances on the Grand Ole Opry stage. He appeared playing banjo with both Earl Taylor and the Stoney Mountain Boys and with Jimmy Martin and the Sunny Mountain Boys. When the Appalachian Grass was invited to perform at the Opry with Vernon as band leader, singer and guitarist, Vernon became one of the few who have been on that stage as a banjoist, a singer, and a guitarist. Over the years, Vernon McIntyre’s Appalachian Grass has played concerts, festivals, fairs, colleges, radio, television, and exclusive nightclubs across the United States and Canada. In 1998, Vernon McIntyre’s Appalachian Grass won the CAMMY award for Best Bluegrass Band in the Cincinnati – Tri-State Area. The band’s exploits even include the grand opening dedication of an historic cemetery! Title cut on a CD of the same name released by Atteiram Records. Now on Tel Mac Records.